A special thank you goes out to the folks over at the Hoorray App for sponsoring this post as well as allowing me to beta test the application. Opinions expressed are that of my own. A few weeks back, I was at a cooking demonstration at my local grocery store and that evening they were making a Pork Tenderloin. It had Panko bread crumbs, french fried onions, and a delicious sauce. Needless to say, I grabbed the ingredients and proceeded to recreate the dish at home, it was so good. Since then, I have been thinking about that meal and different ways to try this cut of meat. 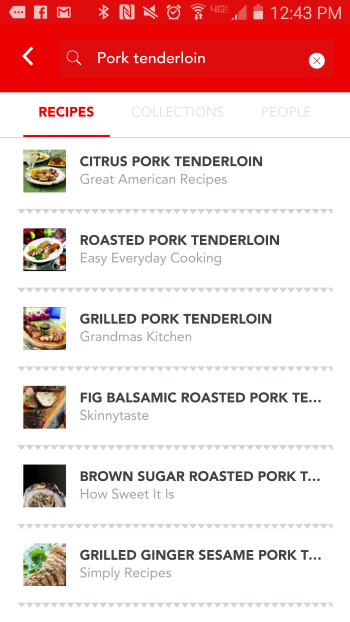 Through the Hoorray App, I was able to locate 5 Mouth-Watering Pork Tenderloin Recipes that I wanted to try in the future. 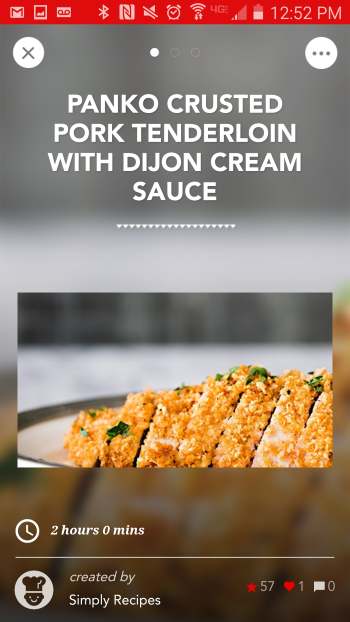 I was asked to try out the Hoorray App and not only was I able to add my own recipes, but I could also create collections of food that I want to try as well (like Pork Tenderloin Recipes). This food related program is designed for learning, sharing, and improving the everyday cooking experience for food enthusiasts. First step was to download the app, and I did so at the Google Play Store (also available for iPhone at the App Store and on PC at hoorray.com). I then set up a profile which I used my Facebook login to establish. Next I went in and added user specific details like my blogs and personal bio. 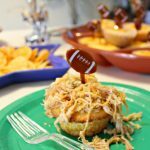 Once established, I could start following other users on Hoorray, add recipes, like recipes from other users, as well as create collections with certain foods. I could also make notes such as, when I was in the process of making a recipe, or maybe a dish I wanted to recreate at home that I had in a restaurant. The collections I put together were for items I wanted to try like smoothies, desserts, chicken, beef, and more. Of course I made a collection for Pork Tenderloin and proceeded to search for recipes. When I found the Pork Tenderloin recipes that interested me most, I added them to my collection. One the dishes I wanted to attempt first, was the Panko Crusted Pork Tenderloin with Dijon Cream Sauce. Let me just say that this was AMAZING and honestly I could just eat the sauce alone. To get started I first visited the Panko Crusted Pork Tenderloin with Dijon Cream Sauce in my collection and then viewed the ingredients. From there I selected the items that I did not have and created a shopping list within the app. When I went to the store I was able to pull it up and marks items off as I added them to my cart. Within a couple of days, I was ready to marinate the Pork Tenderloin and I followed the steps and the directions via the recipe. My family loved the Panko Crusted Pork Tenderloin with Dijon Cream Sauce and were not only dipping the pork in the sauce but also their potatoes and broccoli. IT IS THAT GOOD! What is your favorite feature of the Hoorray App? 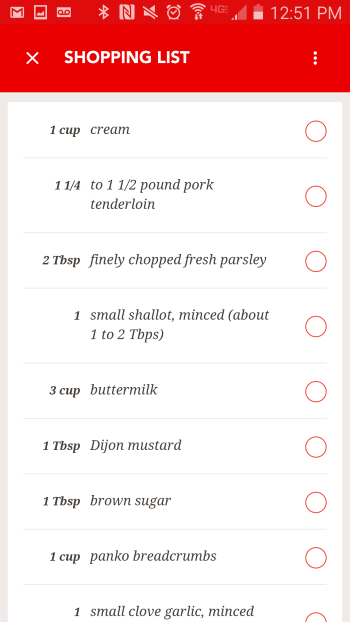 Which one of the Pork Tenderloin recipes here or another recipe at the app would you like to try? The developers of this program are still making additions and changes to the Hoorray App to better improve the user’s experience. I am excited to utilize this as a way to store online recipe cards as well as looking forward to sharing new creations to introduce my followers and new visitors to my website. I can’t wait to try all 5 Mouth-Watering Pork Tenderloin Recipes and continue to discover new dishes through the Hoorray App. 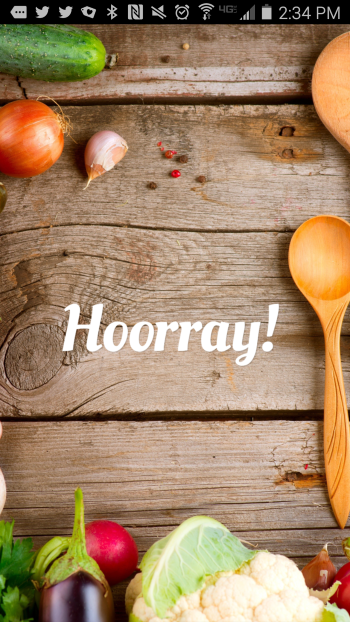 Thanks to Hoorray, 1 lucky Frugal and Fun Mom reader will win a $50 Williams-Sonoma Gift Card! * Participates must be 18 years or older to participate and live in the contiguous United States. Odds are based on the number of entries, and by participating, you agree to these terms and the laws set forth by your individual state. Entries will only be accepted through the Rafflecopter Form, and the website is not responsible for disruption of the page or service which could cause problems with entering. The winner will be contacted through email (make sure you check your spam or junk mail) with the Subject line “Winner of $50 Williams-Sonoma Gift Card!”. Shipping information, including email, phone, and address will be collected at that time. The winner has 48 hours to respond, after that an alternate will be chosen, and so on and so forth. This website does not sell personal information. The prize will be fulfilled by the sponsor. This website does not share information with 3rd parties unless specifically expressed in a specific promotion or giveaway. This giveaway is not associated, nor sponsored by Facebook. 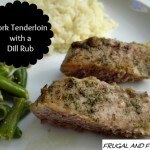 Pork Tenderloin Made With A Dill Rub! An Easy and Delicious Recipe Created With Pompeian Grapeseed Oil! 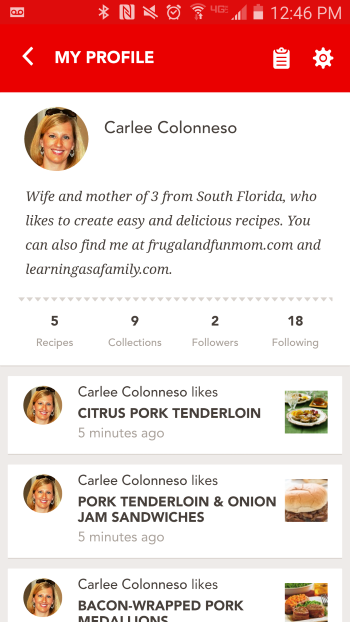 I like how easy it is to find or even share recipes. I like the pork recipes but I would probably try out the garden chicken pizza recipe. Everything looks yummy! I would love to try making Cream Chicken and Biscuits from Grandma's Kitchen. It looks really easy to use and gives you so many options - I love that! I like how you can share recipes. My favorite feature is I can follow friends recipes, I like the recipe for Apricot Buttermilk Pie. I like that you can create a shopping list. I would like the grilled pork tenderloin. I love all the options and especially sharing recipes. I really love how you can make collections so you can easily find recipes depending on what you are making! The Citrus Pork Tenderloin looks so yummy! I would love to make that one first! I like that you can create a shopping list within the app. I'd like to try the Chicken & biscuits recipe. I like how easy it is to find new recipes. 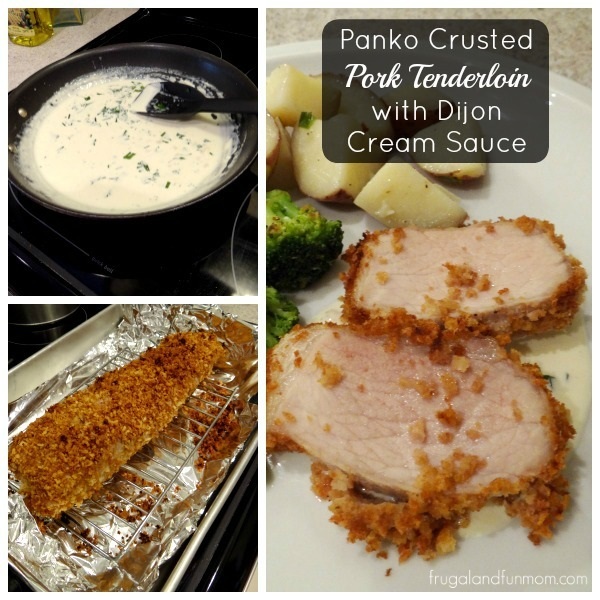 I want to try the Panko Crusted Pork Tenderloin with Dijon Cream Sauce. I like the shopping list feature. I like the Roasted Pork Tenderloin recipe. My favorite feature is the notes feature. I'd like to try Roasted Pork Tenderloin. I like that you can create a shopping list within the app, very handy! I'd love to make the Citrus Pork Tenderloin. I love all the recipes and the shopping list feature is great too! I like that you can create a shopping list within the app, right from the recipe. And I would love to make the Panko Crusted Pork Tenderloin with Dijon Cream Sauce. Like that you can make a shopping list. I love pork tenderloin. I like the Brown Sugar Roasted Pork Tenderloin recipe. I like that it helps you make your shopping list. I like that you can find recipes. I like that you can make a grocery list of items need for a particular recipe. I'd love to try the Maple Glazed Pork recipe. I really like that you can separate it into collections - kind of like pinterest boards only with awesome recipes!! I like that I can keep my own recipes in one place and get inspiration from others. I would like to try the Pork Tenderloin and Onion Jam Sandwiches. I like the shopping list feature of the app. I would like to try the recipe for Citrus Pork Tenderloin. I like that you can make your own collection, so you have all your favorites in one spot! The brown sugar roasted pork tenderloin sound amazing. I like that it is fast to look up your saved recipes. I like how easy it is to locate recipes and I'd love to try the roasted pork tenderloin. Love how easy it is to navigate through the app and I also enjoy how fun it is to easily search recipes it's also very convenient as it gives you instructions and ingredients on how to make the recipes. one recipe I would like to try is the brown sugar glazed rotisserie pork. I love that you can create a shopping list - it makes it so much easier! and then you won't forget til you get home and see you left that list on the counter for things you needed to make the nice recipe! I like that I can keep track of various cooks that I like on the net without having to remember what their blogs are called! Chicken & Biscuits sounds good. I like that you can make grocery lists. I like the shopping list feature. The Bacon wrapped pork medallions looks delicious. the amount of recipe options is impressive. i would love to try the Ginger Butternut Squash Soup. My favorite feature of the Hoorray app is the ability to create a shopping list. Anything that saves me time is high on the list. 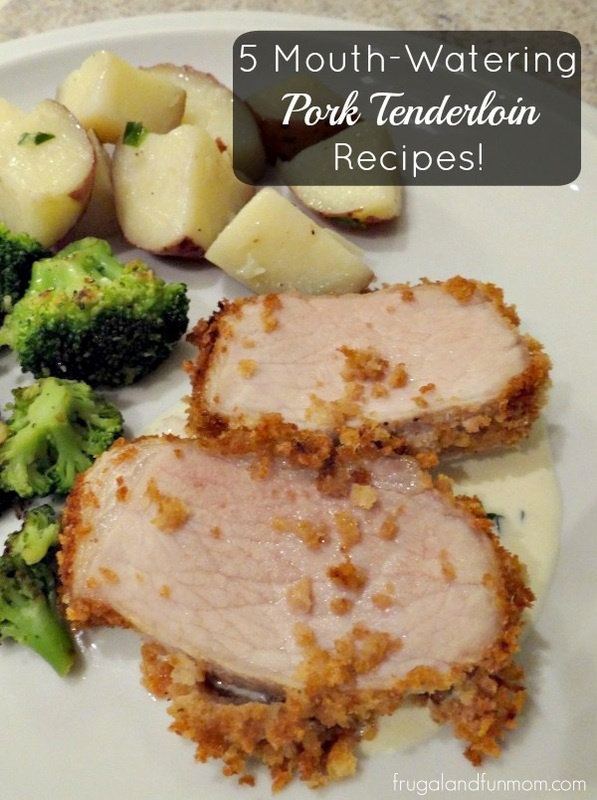 My favorite recipe is Panko Crusted Pork Tenderloin with Dijon Cream Sauce. 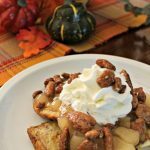 I like sharing recipes and the simplicity of it. I like that you can share recipes with your followers. I'd like to try the Citrus Pork Tenderloin. I like that it has pictures. I'd probably make the bacon wrapped medallions. I like the creation tool on the Hooray app. I love to cook and come up with new recipes. I just installed it, so I'm still getting to know the app. It seems to be really easy to use. 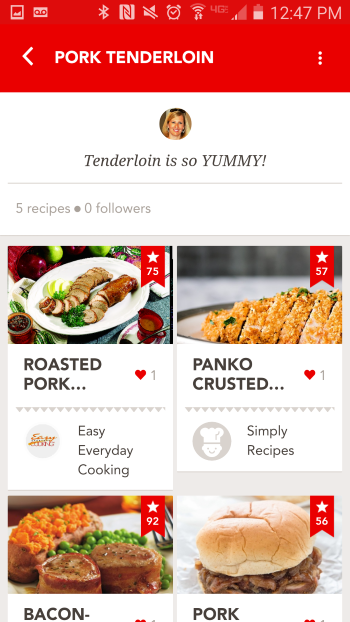 I like how the app allows you to create a collection of recipes that you want to try out. I would like to try the Citrus Pork Tenderloin. I like that it makes accessing recipes simple. I would love to try the pork and vegetables with peanut sauce recipe. Thank you! I like that you can create a shopping list. I would like to try the Citrus Pork Tenderloin. I like the shopping list from the recipes. I want to try the Grilled Ginger pork. Thanks for the contest. I have a butternut squash sitting on my kitchen counter, so tomorrow I'm going to try making the Ginger Butternut Squash Soup recipe. Thanks for sending me to the recipe!